There are more than 600 orchid books available today. Many are written for advanced growers whose collections are vast and composed primarily of collectable species. 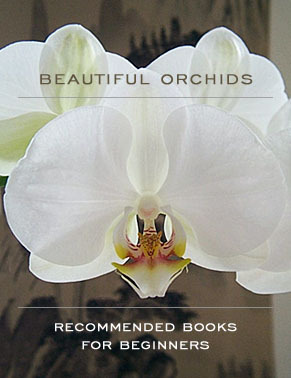 Consequently, Beautiful Orchids has created a list of orchid books designed and written especially for beginning orchid lovers. These books will show you how to produce flowering orchids in your own home, including references with step-by-step instructions on watering, feeding and repotting your first modern hybrids. This list is recommended at the sole discretion of Beautiful Orchids and was produced independently of any publishers or authors. For questions and comments about other orchid books, please contact us at beginnersbooks@beautifulorchids.com.